Nao is a humanoid robot program developed by AldebaranRobotics, a French-based robotics company headquartered in Paris. The development of this humanoid robot began with the launch of Project Nao in 2004. On August 15, 2007, Nao replaced Sony's Aibo robot dog as a robot used in RoboCup Standard Platform League (SPL), an international soccer robot competition. The Nao was used in RoboCup 2008 and 2009, and NaoV3R was chosen as the platform for SPL in RoboCup 2010. Several versions of this humanoid robot have been released since 2008. The Nao Academics Edition is developed at universities and laboratories for research and education purposes. The study was released for the agency in 2008, and is available to the public in 2011. Various upgrades to the Nao platform have been released, including Nao Next Gen 2011 and 2014 Nao Evolution. 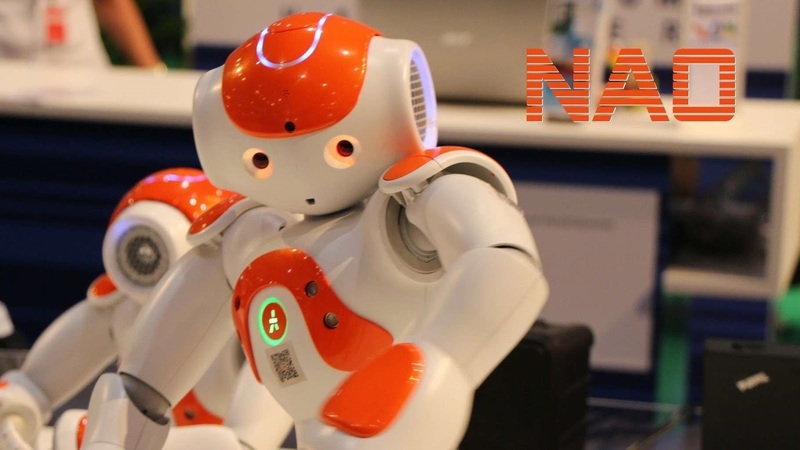 The Nao Robot has been used for research and education purposes in academic institutions around the world. By 2015, more than 5,000 units of Nao are being used in more than 50 countries. Robocup's Nao edition has 21 (DOF), while the academic edition has 25 DOF, as it is built with two hands that have the ability to grip. However, the number 25 for DOF is technically misleading, because each leg has a "DOHPPitch" movement shaft totaling 1 DOF for the pelvis. All Nao versions feature an inertial measurement unit of four ultrasonic sensors that maintain Nao's stability. Nao also features powerful multimedia systems, including four microphones, two speakers and two CMOS cameras, four text-to-speech syntheses, voice localization and facial and shape recognition, and various other capabilities. Nao has a pair of eyes and four microphones in his ears that allow him to analyze the emotions, facial expressions, and tone of the voice of the customer, so that it responds appropriately. Nao can kindly greet customers with 'Hello' or 'Welcome,' then continue. These sentences closely resemble the type in which the same words appear as adjectives — for example, “I’m not going to eat this food” — but in such case, they have a different identity: When they modify nouns, these words are called determiners. Intensive pronouns, like the otherwise identical-looking reflexive pronouns (below), are not essential to the sentence; omit the highlighted word in each of these examples, and the sentences still make sense without the intensive pronoun. Like some other types of pronouns, these can serve as determiners (sometimes called, in this role, interrogative adjectives). The distinction in use is whether you refer to two people (“each other”) or to more than two (“one another”). They are also essential to the sentence; if you omitted the highlighted word in each of these examples, the sentences would be incomplete. According to my conclusion from the background, the robot nao or humonoid robot can be called one of the most sophisticated and sophisticated technological inventions, because the robot can speak fluently in 19 languages, then can greet customers with the word "hallo", "welcome" , etc. this robot may be practiced in the world of education so that children can learn with ano robot and while playing with this robot. for the conclusions of the analysis I made against the background, from the 7 pronouns I got from the existing terori, only 3 pronouns I got, namely Demonstrative Pronoun, Reflexive pronoun, and relative pronoun. while the other 4 pronouns are not found in the background I made.